An area chart often works best with one data series, but can be used with two data series. Adding 3D visualization provides some depth that makes the chart a little more appealing. Follow the steps in the previous Bar Chart Example. 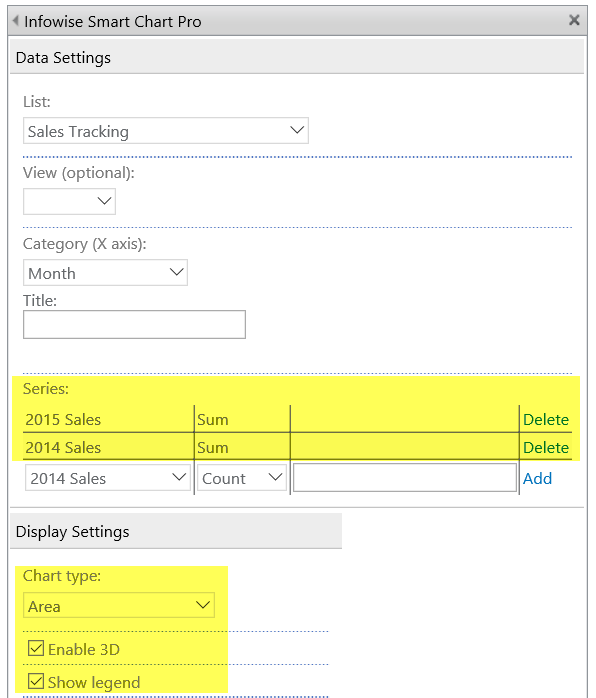 Change the order of the Series data by deleting and re-adding each series so that 2015 Sales is on top. Use the Area chart type setting. Turn on the Enable 3D and Show Legend options. 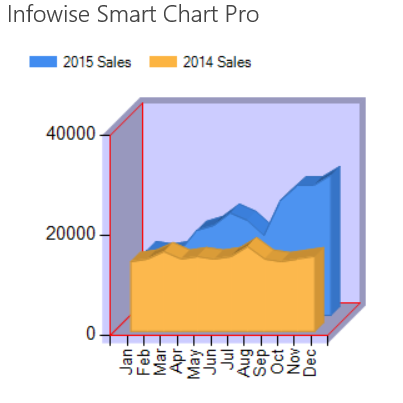 Area charts work well with the 3D setting which provides an isometric view of the charted data. Multiple series can be used in a case where one series is greater than the other series.